We are excited to announce the Honorees on this year’s Environment + Energy Leader 100 list! These are the VPs, directors, managers and engineers who are making significant strides in driving our industry. Congratulations to this year’s Honorees! 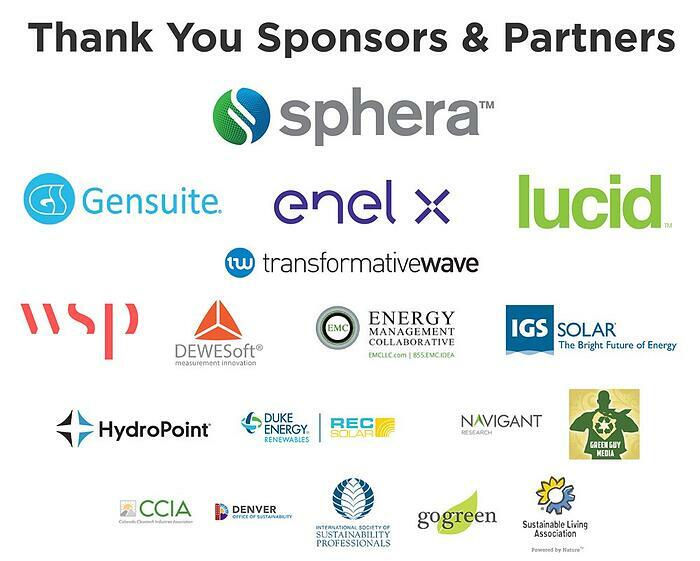 Help us celebrate their achievements during the Environment & Energy Manager Conference (ELEMCON) in Denver, May 13-15. ELEMCON brings together industry changemakers who will share their wealth of experience and best practices via learning and networking opportunities. The E+E 100 luncheon is a key part of this event. It’s our time to recognize just some of the movers and shakers who are helping all of us drive innovation in the environmental and energy management space. The luncheon will feature a keynote address from Gil Friend, Chairmand of Natural Logic Inc. and founder of Critical Path Capital. Won’t you join us in the festivities? Mark Anderson, Icarus RT, Inc.
Sutapa Bhaduri, Owens Illinois, Inc.
Daniel Cordova, Ingersoll Rand Manufactura S. de R.L. de C.V.
William Gagnon, Excel Dryer, Inc.
Andrea Mancino, Bright Power, Inc.
Russell Mayhew, BioMarin Pharmaceutical Inc.
Jeffrey Perlman, Bright Power, Inc.
Dennis Salazar, Salazar Packaging, Inc.
Travis Solberg, Solberg Manufacturing, Inc.
Congratulations to all our Honorees! For full event details and to register for ELEMCON, visit conference.environmentalleader.com. 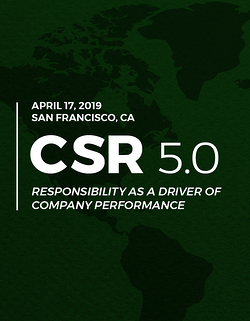 CSR 5.0 presents the evolution of corporate social responsibility from its initial shared value paradigm to its current form. The program will track the growth of CSR as a sector, examine the multi-dimensional ways that CSR programs are implemented in corporations today, and present cutting-edge ideas that will shape the future of CSR as an industry. As a bonus, you may bring a colleague, peer, or client if you register before April 10th. Cynthia Figge is a forerunner and thought leader in the corporate sustainability movement who co-founded EKOS International in 1996, one of the first consultancies integrating sustainability and corporate strategy. Cynthia is CEO and Cofounder of CSRHub. Cynthia has worked with major organizations including BNSF, Boeing, Coca-Cola, Dow Jones, and REI to help craft sustainability strategy integrated with business. She was an Officer of LIN Broadcasting/McCaw Cellular leading new services development, and started a new “Greenfield” mill with Weyerhaeuser. 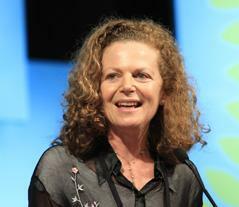 She serves as Advisor to media and technology companies, and served as President of the Board of Sustainable Seattle. Cynthia has an MBA from Harvard Business School. Cynthia is based in the Seattle area. CSRHub is the largest ESG and sustainability rating and information platform globally. We aggregate 180M data points from 615+ data sources including 12 leading ESG analyst databases. Our patented algorithm aggregates, normalizes, and weights data to rate 18,000 companies in 132 countries across 136 industries. We track 97% of world market capitalization. We cover 12 subcategories of ratings and rankings across the categories of environment, employees, community and governance. We show underlying data sources that contribute to each subcategory’s ratings. CSRHub metrics are a consensus view (any 2 sources may have about a 30% correlation so we make sense of the disparate data). We tag companies for their involvement in 17 Special Issues. We provide Macro-enabled Excel dashboard templates, customizable dashboards, and an API. Our big data technology enables 85% full coverage of data across our rated companies and robust analyses. We provide historical ratings back to 2008. 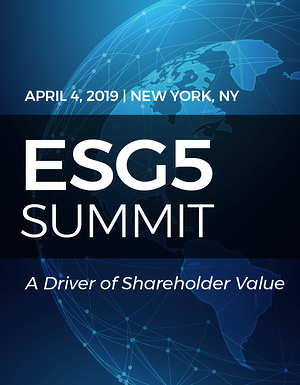 Skytop Strategies will launch its ESG5 Summit on April 4th in New York. CSRHub Co-founder and CTO Bahar Gidwani will be speaking on Materiality: Aligning Materiality to Your Company’s Business Model. The growing focus on the implementation of environmental, social and governance standards and best practices is driven by increasing scrutiny of the public markets, their analysts, and institutional investors; and growing emphasis on transparency and accountability in today’s global markets. 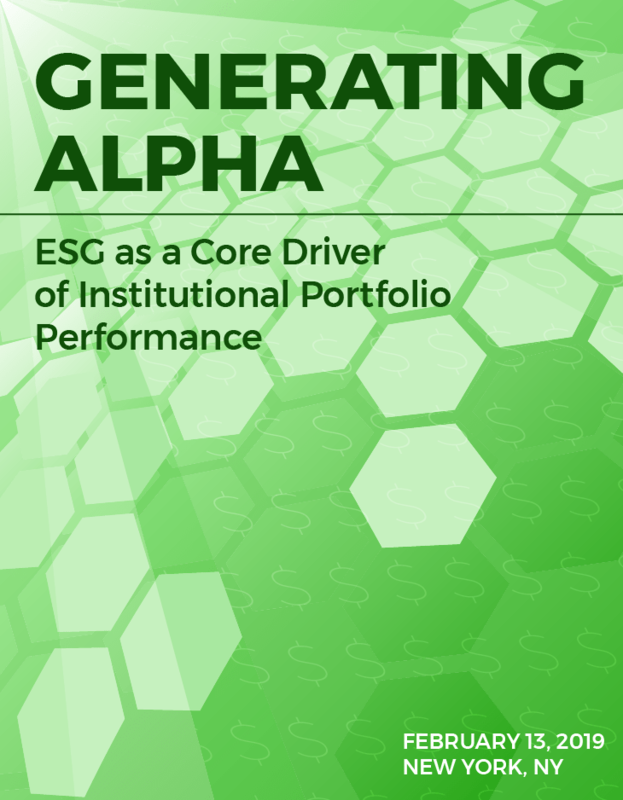 As a result, capital markets now engage regularly in discussions on how to assess the value of ESG practices on overall company performance, working with companies that integrate ESG into their performance equation to quantify, qualify and assign added-value by experts making buy, sell or hold recommendations. Engage with experts and learn how to apply ESG considerations to your company and your investments. For the full program, click here. Receive a 35% discount off the dated price using coupon code CSRHUB2019. Register today. Bahar Gidwani has built and run large technology-based businesses for many years. Bahar holds a CFA (Chartered Financial Analyst) and was one of the first people to receive the FSA (Fundamentals of Sustainability Accounting) designation from SASB. Bahar worked on Wall Street with Kidder, Peabody, and with McKinsey & Co. He has founded several technology-based companies and is a co-founder of CSRHub, the world’s broadest source of corporate social responsibility information. He has an MBA from Harvard Business School and an undergraduate degree in physics and astronomy. He plays bridge, races sailboats, and is based in New York City. CSRHub is the largest ESG and sustainability rating and information platform globally. We aggregate 180M data points from 610+ data sources including 10 leading ESG analyst databases. Our patented algorithm aggregates, normalizes, and weights data to rate 18,000 companies in 132 countries across 136 industries. We track 97% of world market capitalization. We cover 12 subcategories of ratings and rankings across the categories of environment, employees, community and governance. We show underlying data sources that contribute to each subcategory’s ratings. CSRHub metrics are a consensus view (any 2 sources may have about a 30% correlation so we make sense of the disparate data). We tag companies for their involvement in 17 Special Issues. We provide Macro-enabled Excel dashboard templates, customizable dashboards, and an API. Our big data technology enables 85% full coverage of data across our rated companies and robust analyses. We provide historical ratings back to 2008. CSRHub CTO and Co-Founder Bahar Gidwani will be speaking at Skytop Strategies Generating Alpha conference, in New York on February 13th. Bahar will join a panel discussing Alpha from Impact: Identifying Opportunities in ESG. The Generating Alpha 2019 program will address topline issues in the ways that allocators select investments through fund managers and through the advice of investment consultants. This full-day discussion will include information on financial evaluations, portfolio allocations and how investment experts create portfolios using ESG factors as core drivers of value. The program will also address benchmarking (using indexes and other vehicles) to manage risk, volatility and other considerations facing institutional investors today. Friends of CSRHub receive a 25% discount off registration using code CSRHUB2019. As the corporate landscape evolves around global, social, environmental and economic change, Skytop Strategies works to facilitate discussion with executive-level corporate leaders, institution investors, stakeholders, reputable industry experts, and authoritative NGO/government agencies around corporate strategy. CSRHub is the largest ESG and sustainability rating and information platform globally. We aggregate 180M data points from 605+ data sources including 10 leading ESG analyst databases. Our patented algorithm aggregates, normalizes, and weights data to rate 18,000 companies in 132 countries across 136 industries. We track 97% of world market capitalization. We cover 12 subcategories of ratings and rankings across the categories of environment, employees, community and governance. We show underlying data sources that contribute to each subcategory’s ratings. CSRHub metrics are a consensus view (any 2 sources may have about a 30% correlation so we make sense of the disparate data). We tag companies for their involvement in 17 Special Issues. We provide Macro-enabled Excel dashboard templates, customizable dashboards, and an API. Our big data technology enables 85% full coverage of data across our rated companies and robust analyses. We provide historical ratings back to 2008.